ON AIR – and on point! There are two shows currently airing that are, in my opinion, good enough to keep up with on a weekly basis. The other show is called Temperature of Love, about a TV writer (Seo Hyun-Jin) and a Chef (Yang Se-Jong) who fall in love… but due to age differences (the dreaded noona romance, sigh, but whatever… I’m going with it) and circumstances, their relationship fell apart before it really got started. Now they are meeting again five years later – more secure in their careers but more insecure in their feelings. 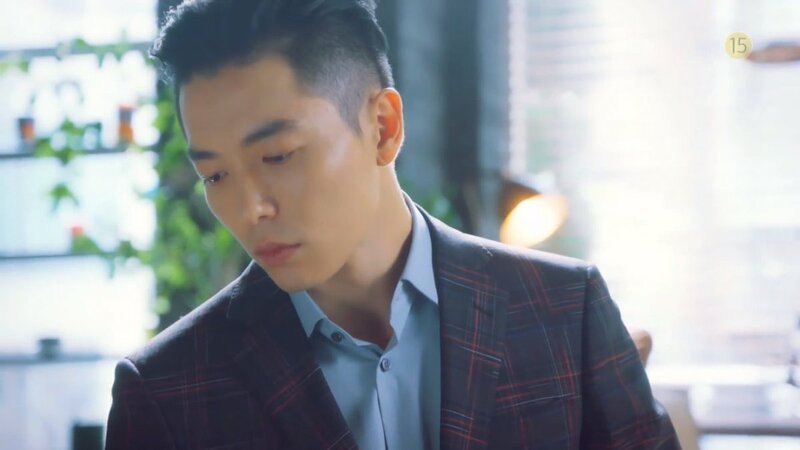 The story line is solid and interesting, but I’ll be honest and confess one of the biggest reasons I am sticking around (for a show that will apparently run for 40 freakin’ episodes) is because Kim Jae-Wook is playing this mysterious, cool badass CEO who is interested in our lead female. Of course, that will go no where, cause… duh. But I’m just fascinated by his odd, reserved and loner character. Plus… whoa. He is looking mighty fine… just… better looking each year, in my opinion. The Temperature of Love is hot. Fan me! Full reviews once they both finish… in a month or two or three or four… whenever.